Disclosure: This is a sponsored post on behalf of Family Dollar. All opinions are my own. Let's face it, finding a diaper that offers excellent leak protection , stretchable sides, and a comfortable fit is next to impossible. With Family Dollar's Kidgets diapers you can find all of those options and then some. With a super soft outer cover that is gentle on baby's skin, we have found a diaper that withstands our daughter's wettest times. Nighttime. If she sleeps 10 hours I know that I can trust Family Dollar's Kidget diapers to hold up to any leaks that could have happened. Even better, Kidget diapers come with a 100% satisfaction guarantee or your money back. A great value and outstanding protection, what more could you need? 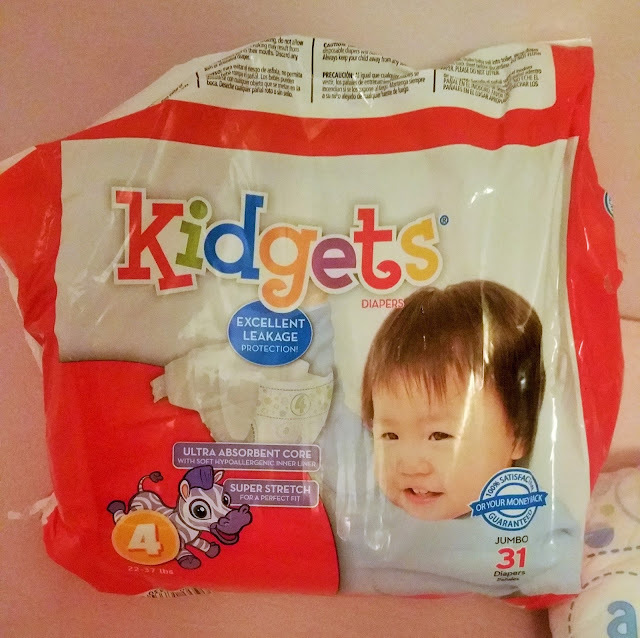 I love that I can trust Kidget Diapers to keep my daughter dry at night and on long car rides. The super stretchable sides make getting a comfortable fit for her super easy, even with a busy toddler. The Family Dollar Kidgets Diapers hold up to my little ones dance parties that happen daily. There is no shifting or leaking. With so many friends and family members having babies soon I now have a great diaper to bring to baby showers or when first meeting the baby. I can now afford to really stock either myself up on diapers or my gift recipient. By saving our family money on diapers we now have the ability to pick up a few more things that we might not have been able to. This is a sponsored post written by me on behalf of Family Dollar.